It was very fitting that Redruth Rugby Club had chosen Calcutta Cup weekend to present Redruth rugby legend Richard Sharp with the very first Redruth Players Cap in the club lounge which appropriately is named after him. In 1963, Sharp who captained England in their championship winning 5 Nations campaign of that year, scored a memorable individual try in the Calcutta Cup match against Scotland at Twickenham which clinched both the Cup and the title. It’s a try that has been long talked about by Cornish rugby followers and is held in as much esteem as the try scored by another famous son of Redruth; Bert Solomon’s against Wales in 1910; some fifty years before Sharp’s great score. Sharp set off on a diagonal run off a pass from his scrum half, his elegant figure cut a swath through the Scottish defence who fell for his dummy passes as he ghosted through the Scottish cover to the line. Sharp played a total of fourteen times for England wining his last cap in 1967 against Australia at Twickenham. Redruth club President Derek Collins made the presentation to Sharp who was delighted with his cap. “I have had to wait 60 years for this!” he joked with the assembled audience. 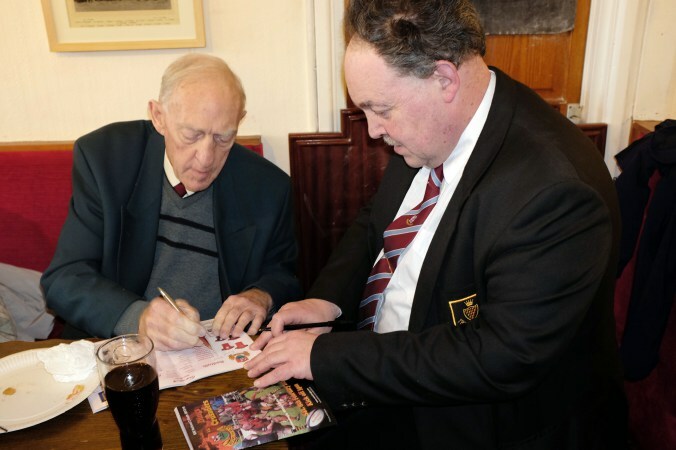 The occasion brought back many happy memories of not only playing for Redruth and his many friends at the club but also of watching them as a child growing up in Clinton Road. “All I ever wanted to do was play for Redruth, I would come down on a Saturday to watch my heroes playing, Billy Phillips, Frank Partridge were amongst those I admired the most, it was a great thrill for me when I eventually played for Redruth as a seventeen year old schoolboy, I was so proud to follow in their footsteps. Apart from Redruth and Oxford University, Sharp also played club rugby for Bristol and Wasps as well as playing county rugby for Cornwall invited to play for the Barbarians and touring South Africa with the British Lions in 1962. Though his tour was cut short after he suffered an horrific injury in the final tour game leading up to the first test against the Springboks. 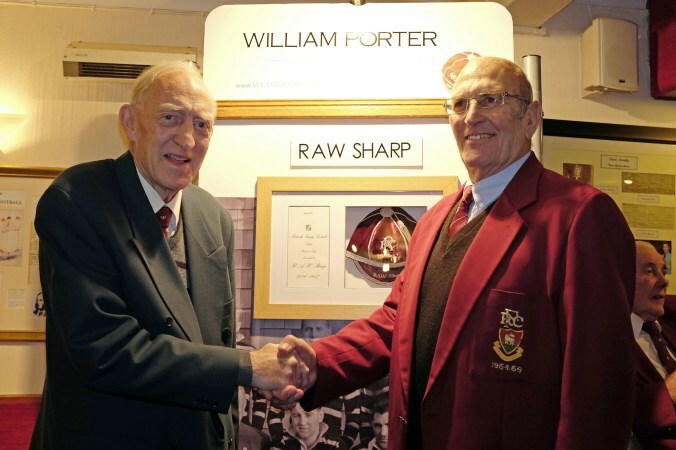 A Redruth Club statement read: The Club is delighted to announce that in association with William Porter Fine Caps all First XV players and ex players or their families are able to purchase personally embroidered Redruth First XV Honours caps. This beautiful handmade cap upholds all of the finest British sporting traditions, tailored to an original English pattern using traditional materials and techniques. Hand embroidered onto the finest blended velvet silk, finished with military silver wire lace and tassel, each cap is unique and produced in Cornwall. Each cap is embroidered with the individual player name, initials and the year they were first capped. This cap is a magnificent gift for players past or present and a unique memento of your playing days. Applications are also welcome for players who have sadly passed on. 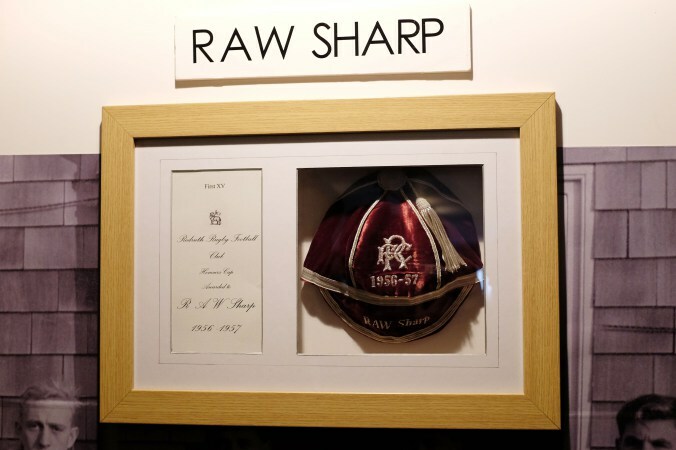 Your cap will be professionally framed and mounted in a deep box frame with a personalised Redruth RFC citation. Your application will be assessed by Redruth RFC prior to manufacture. In the event of your application being deemed ineligible, you will be contacted and receive a full refund. Applications will close at midnight on March 22nd 2014. Delivery is expected to be 6-8 weeks from this date. To order please go to www.Williamporter.co.uk and click on the Redruth link. Alternatively for all enquiries please ring 07824 865351. ‹ REDRUTH BACK IN THE RELEGATION MIX!